Cooking made us human, we make it fun! 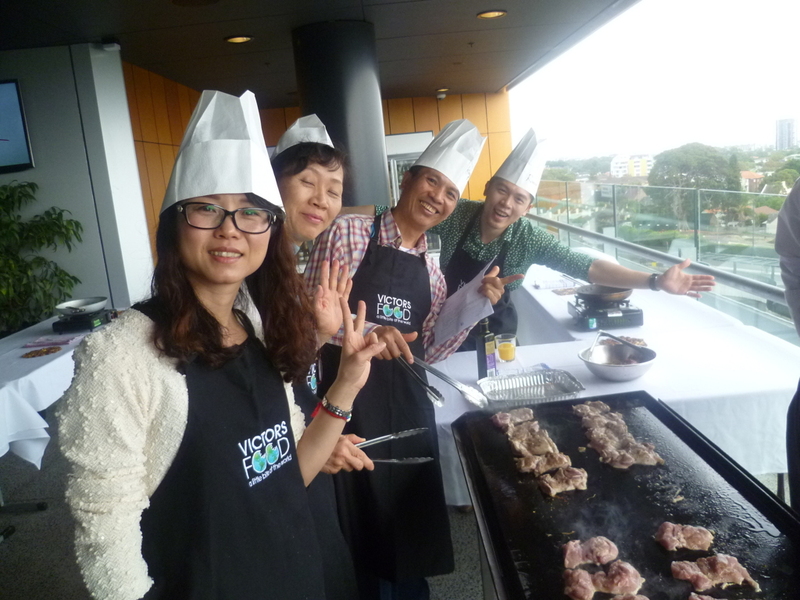 You found the best corporate team building activity, client entertaining and christmas parties in Australia. 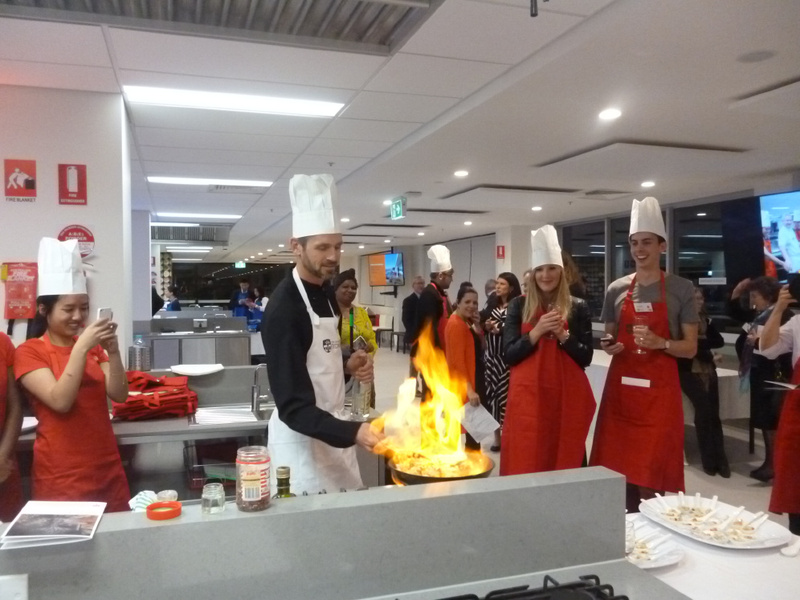 We can ‘pop-up’ anywhere to turn your team to gold with the alchemy of the kitchen – fun, hands-on cooking team building. It’s easy to organise and we guarantee results! Explore a world of cooking classes, cooking parties, private food tours, food & wine matching and more. Enjoy a little bite of the world! with one of TimeOut Sydney’s rated “best cooking schools”. Do you have a networking event to organise and need something different? Go beyond the ‘same old’ sushi rolls and gourmet meat pies – make it ‘sizzle’! Take your next conference ice breaker or social event beyond the ‘same old’ canapes and cold cuts – make it ‘sizzle’! You’ve been to a dozen websites that would all have you tick various boxes to fit into what they do, but still not quite found what you’re looking for? This would have to be one of the best team events I have attended. Everyone in the group really enjoyed the experience and are still all raving about the food that we created. Victor & Greg made the night enjoyable and informative for all and I think we have all come away with new recipes to add to our repertoires. It was a fantastic night and probably the best Christmas party I’ve been too, so I’ve also recommended it to other people! Thank you so much to VictorsFood for the very successful Masterchef Challenge. We brought together 30 of our Senior Leaders for a week-long conference that included this event. The feedback received from all who attended was overwhelmingly positive. Thank you to Jason, “Gourmet” Greg and of course the wonderful Wanitha. Her passion was infectious and her team’s ability to excite had us delivering results that surpassed all our expectations. I would have no hesitation in recommending VictorsFood to anyone considering an amazing experience. Great team building event. Everyone had a great time and enjoyed interacting with others in the group! We had a great time making pizza with Victor and his chefs. … From the time I contacted VictorsFood until the day of the event, I found everyone I dealt with very professional and so accommodating of my group’s needs. What I also like is that they really take the time to understand what it is we’re trying to achieve and take into account our company objectives, mission statement, values etc. On the day of the event itself, the pace was fast and there wasn’t a moment of boredom. Victor has perfected his recipes, and even the most novice of cooks was involved in creating yummy pizzas for all to enjoy. By the end of it, my group was raving on about how much fun they had. I would recommend VictorsFoods in a heartbeat, and next time I’d like to do the Masterchef challenge. Thanks Victor and team. A great idea and very novel, it really pulled people from different parts of our business together. Many thanks for hosting my management team for the Master Chef Challenge, I have to say the event was just awesome. Over the years I have done many events and this is my favourite by far, beating “The Amazing Race” and “Orienteering”. The way it brings the teams together to deliver fantastic food, which I personally never thought we could cook, is just awesome. The atmosphere that is created has pressure but loaded with fun, which makes for great team spirit. The descriptions of the prepared food and the tips provided by Victor were nothing short of a Michelin star. Finally, Wanitha. If I could bottle her enthusiasm and sprinkle it around then all the projects that we undertake would be a great success, and above all, our customers would love us. Again, thanks for an amazing event. 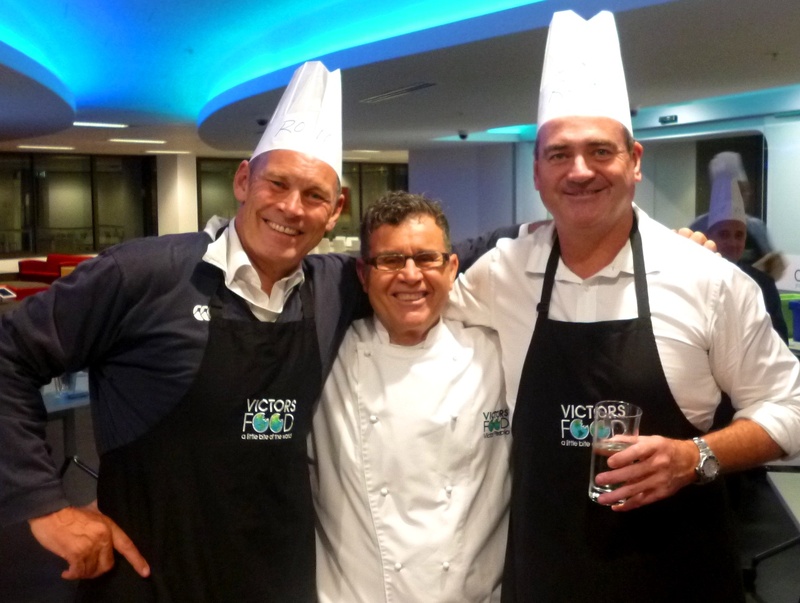 As part of our Exceptionally Performing Team workshops, VictorsFood provide fantastic events around the MasterChef concept that act as a metaphor for high performing teams. Victor is highly knowledgeable and can draw relevant learning insights for business audiences. He connects across a wide range of audience types, and his unruffled, casual but focused style makes his MasterChef events a lot of fun. I have real trust in his ability to support our work in a highly professional way. Ours was a splendidly eloquent and inspiring team event. A brilliant demonstration of all the vital elements that unite a team – humour, trust, respect, energy, results! Victor’s enormous erudition and Wanitha’s interpretative audacity ensured the evening was bravura. In other words, everything we hoped to achieve and more! I have already recommended VictorsFood to a wide range of associates. One of the best team building events I have ever participated in. The feedback we received from the guests was this experience moulded a group of people who didn’t know each other into a group more like old friends without even realising that was the intention. VictorsFood were able to integrate a room full of buyers and sellers to a point where they weren’t just swapping business cards at the end of the night, but making appointments to meet. This could not have happened without VictorsFood providing the platform for these new relationships to be built. Feedback on the night was outstanding. All attendees enjoyed the concept and cooking some of the food themselves. The VictorsFood team did a fantastic job at engaging the guests, getting them cooking together and even serving each other. I highly recommend VictorsFood!